After a spate of arrivals this morning , Roberto Tomasini Grinover's JV72 Mini Maxi Robertissima has been declared the winner on corrected time (IRC) of Rolex Capri Sailing Week's Volcano Race. Tricky conditions on the course yesterday, during the return journey from Stromboli back to Capri, caused this year's race to favour the frontrunners with line honours winner, Igor Simcic's 100ft (30.5m) Esimit Europa 2 finishing second with Jethou, Sir Peter Ogden's all-black sistership to Robertissima, third. 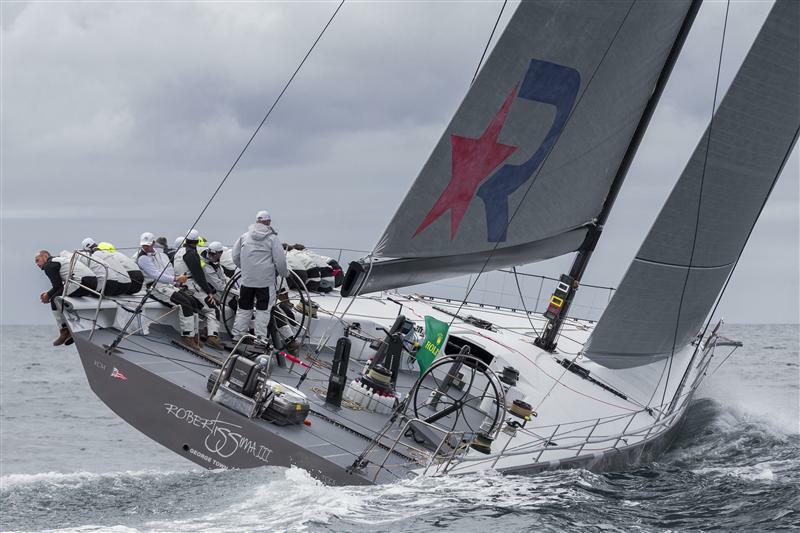 The majority of the competitors ended up spending a second night at sea, only reaching Capri's Marina Grande at breakfast time today. Stromboli was a mostly unpopular topic, particularly for the crew of the British Baltic 78, Lupa of London, who spent nine hours parked off the Italian volcano. "We had a long encounter with it during the Rolex Middle Sea Race as well, so we are very familiar with the view of Stromboli and we didn't really want to treat ourselves for quite so long a second time round!" explained Lupa of London owner Jeremy Pilkington. "But there was no helping it. We hit a big hole to the west of Stromboli and we covered one mile in nine hours..."
Lupa had been going well until then but stuck in no wind they could only watch as the faster boats got away and the slower ones caught them up. "These things happen and other people will have been equally disadvantaged in other parts of the race. We are glad to be in this morning as opposed to the computer predictions of us coming in this evening," said Pilkington, looking at the bright side. Fortunately there proved to be more wind on the rhumb line back to Capri than the forecasts indicated. 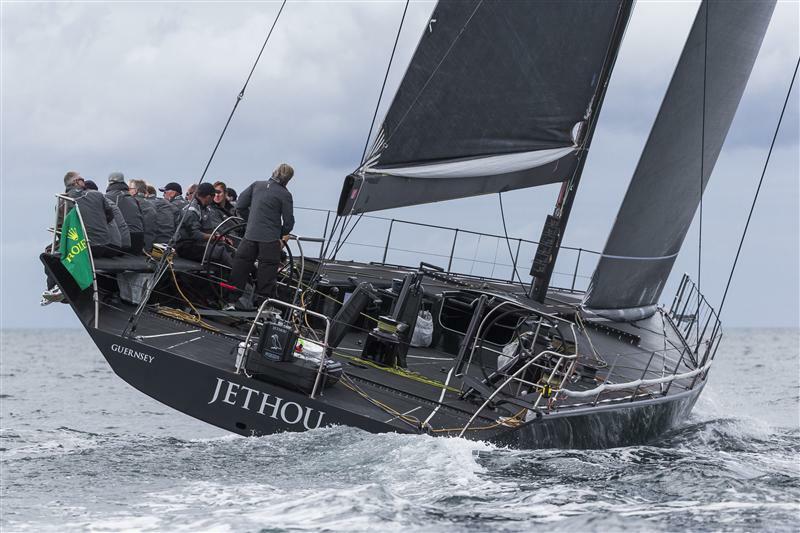 "We were seeing 6-7 knots which might not seem much but after nine hours of watching 0.5 or 0.25 knots, and cheering when you get to 1 knot, it was quite exhilarating!" concluded Lupa's owner. Another crew shaking its collective head as its arrived back in Capri this morning was that of the Reichel-Pugh 66, Wild Joe. The Hungarian team had also arrived in a good position at Stromboli, only for the wind to disappear, but in their case just for around two hours. "We were quite lucky," recounted Wild Joe's skipper Marton Jozsa. "We were a mile above Lupa and saw them stop, but we were able to go very close to the island." Unfortunately the Wild Joe crew had taken note of the forecast for yesterday that indicated no wind on the rhumb line home and instead chose to take a dramatic route in towards the Italian mainland in search of a sea breeze. Only the sea breeze didn't materialise and the Hungarian crew found itself sailing many more miles than necessary and in worse conditions than if they'd stuck to the direct route. As Jozsa described it: "Yesterday from the morning to the evening we did something like 15-16 miles without a lot of wind." Thankfully the wind filled in, but not before the Racer-Cruiser maxis had overtaken them. "This was not our favourite race," admitted Jozsa. "We preferred it last year when there was a lot of wind, but this was still a good experience." Considerably happier with their race were Enrico Gorziglia and the Italian crew of Good Job Guys. First of the breakfast time arrivals, the 1995 generation Brenta 60 has ended up fourth overall and leading the Racer Cruiser Mini Maxis. "I enjoyed the race," said Gorziglia. "We only had a little bit of slow time - this is a good result for the boat." Earning his keep as navigator on board was Italian ex-America's Cup and Figaro sailor Pietro d'Ali, who is a regular on board, the whole crew coming from Genoa. "I think we did well in the beginning, taking the west side of the course," said d'Ali. "Some boats kept the the Code 0 up for too long, but we stayed up when the wind headed us so we were in a good position for Stromboli." Unlike some of their competitors, Good Job Guys was not held up too badly rounding Stromboli, despite defying conventional wisdom and sailing in close to the coast and playing the shifts. They parked for a while after Stromboli, but unlike Wild Joe benefitted from sticking to the direct route back to Capri. With the wind changing constantly and disappearing altogether at times, d'Ali earned his keep on this race and says he got less than four hours of sleep in the last 48. Tomorrow the Maxi fleet is scheduled to return to the inshore race course off Capri at 1200 in the same area as the 52 Super Series fleet with some windward-leeward racing or a coastal race to be decided according to the wind conditions.